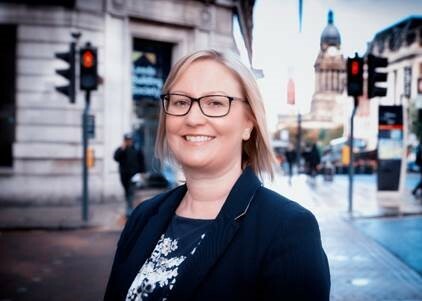 After almost two decades working for corporate businesses in human resources across the UK, West Yorkshire-born Sarah Bradley has headed home to set up her own business supporting local SMEs. The highly qualified HR expert left her corporate London life behind her, having had enough of travelling from one end of the country to the other over the past 19 years. She is now heading home to set up The HR Dept Leeds South, providing advice and support to businesses in the area. The decision comes from a passion to get back in closer contact with the types of businesses she worked with previously. So Sarah, her husband Mike and their slightly bewildered cat Spencer have headed back to Yorkshire for the latest stage in the businesswoman’s career. Sarah identified the opportunity to set up the Leeds South branch of The HR Dept, which is an international company with a network of 73 franchisees providing services in 111 territories in the UK, Ireland and Australia. “I was born in West Yorkshire so I’ve got a great affinity with the area. We have our family home here so it’s the ideal opportunity to settle back there. “My area of operation covers the area cornered by Leeds Beckett University in the city centre, through the city to Elland Road and surrounding areas, Rothwell, Morley and Pudsey. It’s a great territory to be working in, with all sorts of businesses facing all kinds of people issues. “With new legislation like GDPR bedding in since May, the reviews on equality, the gender pay gap, and then with the Home Office having just published the Brexit Toolkit for employers, there’s a lot to think about. Companies need to be aware of likely legislation and prepare for it in advance – the world is changing and those businesses which aren’t up to speed are going to struggle.